I decided to take a look at some of the statistics from 2011-2012 to see what exactly had I missed in the years prior when I wasn't watching the team. 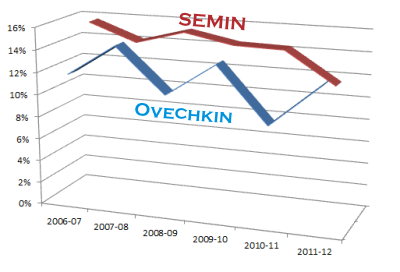 I had already known about Ovechkin's decline, but I was surprised to see how productive Alex Semin used to be. As you can see by the numbers, each of the two Russian players has been on a downward slope with Goals, Assists, and Points, but the most alarming stat shown by the image is the decline in the number of shots on goal. Over the past 4 seasons, Ovechkin's shots have gone from almost 7 per game all the way down below 4 per game. In the playoffs he was down closer to 3.5. 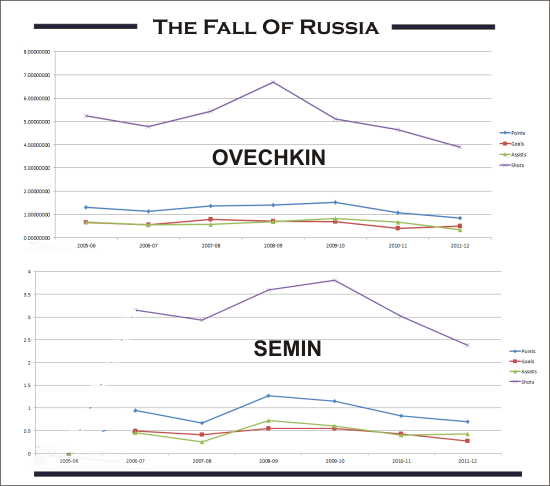 Over the past 3 seasons Semin has also been crashing down in the shot department. He has dropped from almost 4 shots per game to below 2.5 per game. Check out the shooting percentage. Ovi is up and down, every other year. Not good for next year. Semin was just really down from his typical consistent shooting. 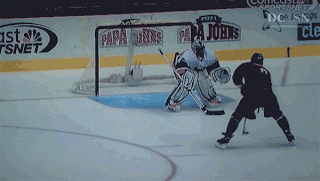 Some of these seasons were Boudreau, and others were Hunter. So I don't exactly know the reason. 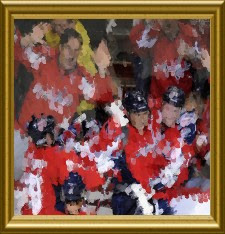 But these drop offs are not good for the future of the Caps...although Semin may be gone soon. Also if you have any other way to interpret these stats then please let me know...I still can't really combine stats with actual play.